There is no denying the fact that the Galaxy S10 series includes one of the best Android phones of this year. Still, like every year, Samsung would launch a “Note” series flagship in the Q3 this year & we already have rumours and leaks of the Note 10. 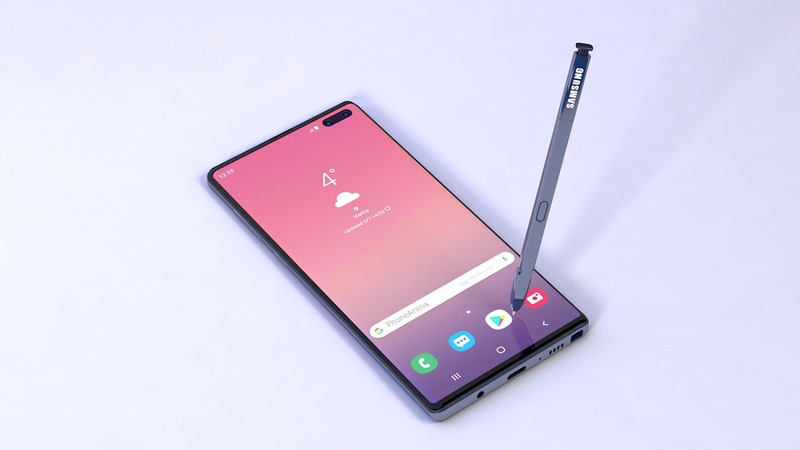 Now, a tipster suggested that Samsung might launch the Galaxy Note 10 Pro this year alongside the normal Note 10. If this happens, then we would see two “Note” flagships in the same year for the first time from Samsung. “Ice Universe” is known for his leaks related to Samsung’s upcoming phones and his latest post on Twitter might be hinting at the launch of Note 10 Pro this year. It is interesting because the Note series phone that launches every year is not a big upgrade from the high-end Galaxy device of the same year. Last year, there weren’t many changes except for the bigger form factor, improved cameras and the S Pen features. Now that the Galaxy Note 10 Pro is also rumoured to launch, we wonder what Samsung is going to offer with it. Looking at the Galaxy S10+ and its specs, it is pretty much confirmed that we would see at least triple cameras, a hole-punch or maybe notchless display and an in-display fingerprint scanner on the Galaxy Note 10 this year. With the Note 10 Pro Samsung might go a step further by adding some unique features that we don’t have any idea of at the moment. Finally, this is a rumour so consider it with a pinch of salt.